Now that warmer weather is around the corner, many of us are taking the time to get organized and do some spring cleaning. With spring cleaning comes the discovery (or re-discovery) of things you forgot existed - craft supplies being a common find. Instead of throwing these materials out, why not use them to create something fun? 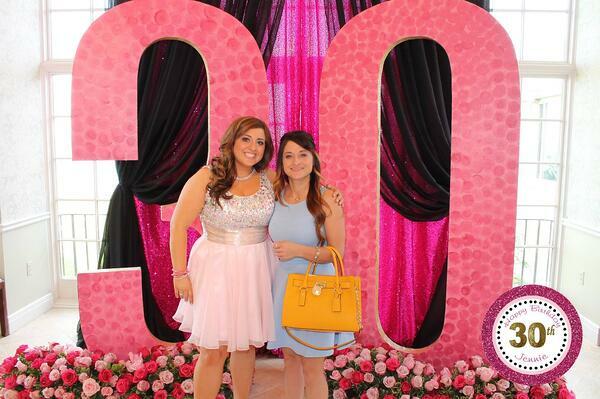 With a few craft supplies and a little creativity, you can create a photo backdrop for an upcoming event in no time. 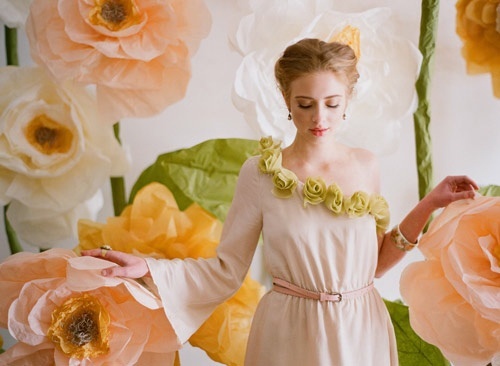 Here are a few of our favorite spring-themed backdrops. These whimsical flowers can be created with a hot glue gun, tissue paper, plastic cups, and a few other supplies. Not only do they make for a fun prop to hold in photos, you could make a few of these flowers for the ultimate floral backdrop. Streamers are another item that are forgotten about as soon as a party ends until a few rolls are found months after when you are cleaning. Streamers make for an easy backdrop and can be hung straight or twirled if you're looking to have a textured backdrop Alternating colors can also be done for something different. Often discovered when junk drawers are cleaned out, balloons are an easy backdrop idea that you can use to match your event colors. 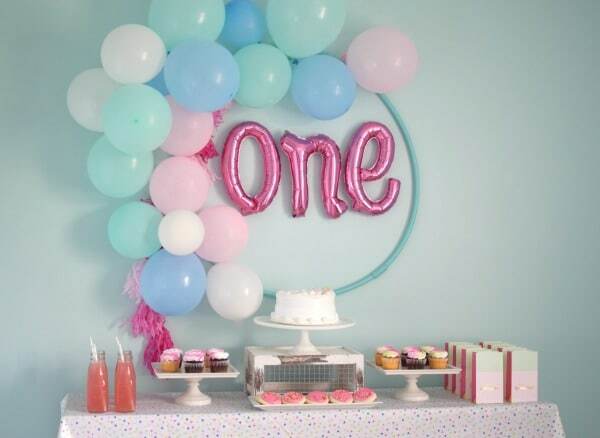 Balloons can be taped to walls, filled with helium, blown up to different sizes... the options are endless! For a Valentines Day party, red and pink balloons can be shaped into a heart or for an St. Patricks Day event 4 green balloons can be attached together to create a four leaf clover. Did you find a few rolls of wrapping paper or scrapbooking paper in your cleaning frenzy? Instead of throwing them in the recycling bin, cut them up for a backdrop! You can cut the paper into whatever shape you want and holes and string can be added for hanging confetti. Didn't discover what you need? If you weren't able to find the supplies for a DIY backdrop during your spring cleaning, you can still have an amazing photo experience at your event. TapSnap has been providing unique photo booth experiences since 2012 and we are committed to bringing people's visions to life! From animated GIFs with falling flower petals to digital props with animals, TapSnap creates fully personalized experience for clients. 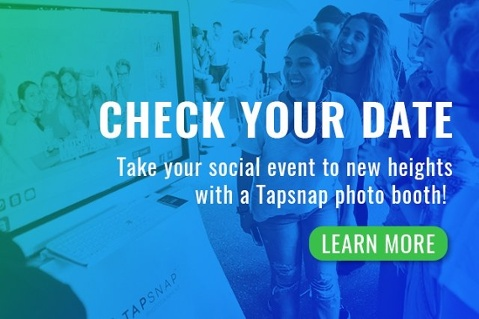 If you are interested in how TapSnap can make your event unforgettable, you can find out more about what we do on our How It Works page or you can check your date below!